Day one of Mercedes-Benz Tokyo Fashion Week has come to a close, and I’m still wrapping my head around the whirlwind of street style, runways, and free champagne that it brought with it. The day started with a much needed espresso and Sretsis’ Autumn Winter 2015-16 collection. Sretsis is based in Thailand and is known for its whimsical, girly designs that have been given a stamp of approval by everyone from actress Zooey Deschanel and icon Beyonce––just to name a few. With Stretsis’ reputation in mind, I had high expectations. 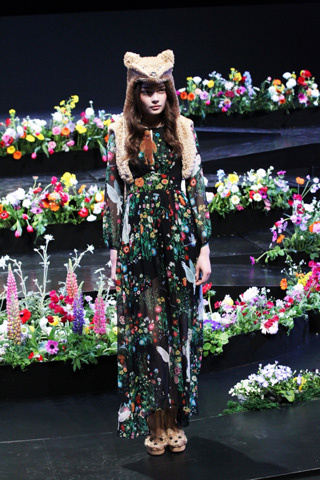 As everyone was being seated, the excited murmuring grew louder and louder in anticipation for the Sretsis runway. Then, out of nowhere, the room went dark and out came the first model in a teddy bear coat and matching teddy bear heels. The finale was just as fantastical as the rest of the show, with confetti falling from the ceiling as all of Sretsis’ models-turned-storybook characters stood on the runway––a perfect ending to their fairy tale showing. 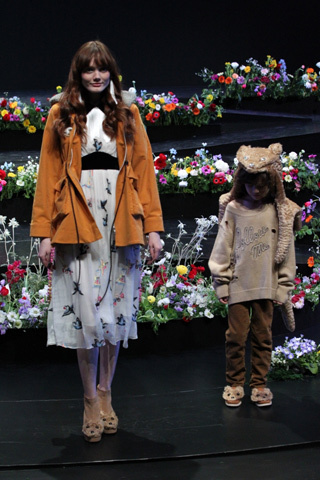 The best moment of the show, however, were the two children dressed as a rabbit and a fox. The audience was unable to suppress their ‘awws’ and ‘kawaiis’. I have to admit, even I cracked a smile. 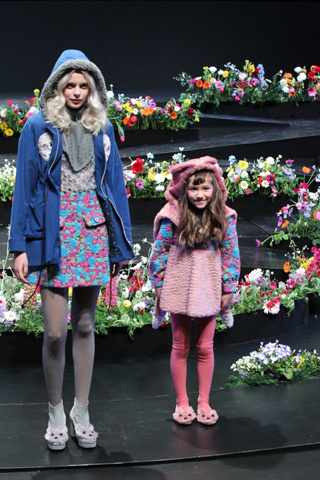 The mini models were Hugo and Beni. 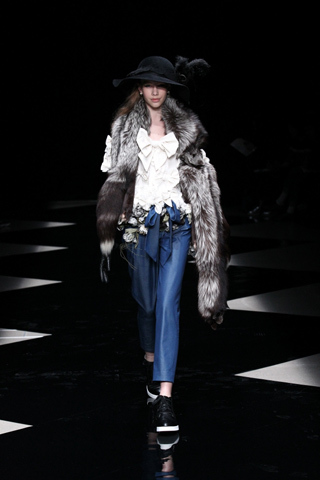 Luxe furs paired with floppy hats and loose trousers gave way to ample amounts of frill, lace dresses, and industrial parkas; all of which created a Parisienne lady meets pirate lovechild effect. My final stop for the evening was IISER LOEN’s AW 15-16 menswear collection. IISER LOEN is also a new label on the scene. 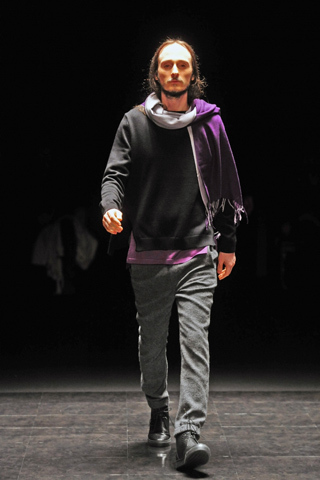 Launched in 2014, the menswear label is designed by Koji Tezuka and is focused on the concept of the “new age of dandyism”. 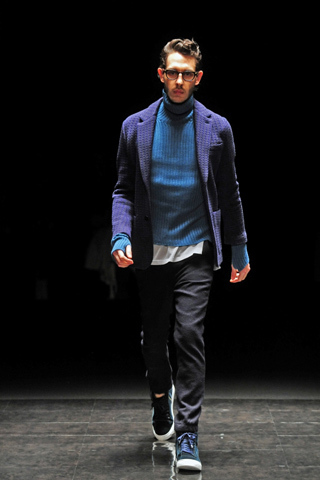 Slouchy knit sweaters paired with ultra-tailored pants were the uniform for Tezuka’s collection. With day one wrapped up, this writer is in desperate need of a disco nap. 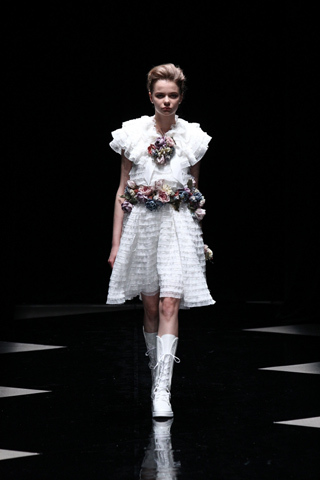 For more exclusive coverage of Tokyo Fashion Week, keep your eyes on Fashion One!